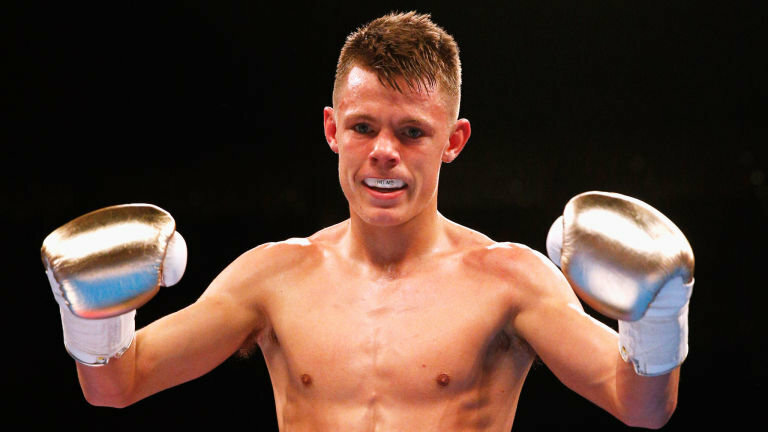 We are proud to announce Charlie Edwards the current IBF British Super Flyweight Champion has come on board as our newest Ambassador at Fight 4 Change. Charlie started his boxing career at 11, boxing for some of London best and well known clubs, Earlsfield, Lynn and Repton ABC. Charlie has won an accolade of trophies and titles in his time both as a youth and senior, some of which include 2 x school boy titles, Gold European school boy, 2014 European Bronze Medallist, 2x ABA English Elite Champion. Charlie is currently a Matchroom Pro Boxer promoted by Eddie Hearn with 10-1(4ko), He is the English & WBC Int Flyweight Champion, IBF World Title Challenger and British Super Flyweight Champ. Charlie embeds the values of Fight 4 Change and has shown what the power of boxing can do to build resilience, trust and respect. Charlie is a brilliant role model for the young people and great advocate for spreading the message of Fight 4 Change. Charlie joins our other Ambassadors former Cruiserweight World Champion Glenn McCrory, former WBC middleweight World Champion Richie Woodhall, Michael Watson MBE and current GB podium squad member and European Silver Medalist Chev Clarke. “Ambassadors are key in promoting and advocating Fight 4 Change and can have a major impact on the young people and profile of the Charity. We are always looking to expand our networks and include new ambassadors and we feel Charlie is exactly the right fit for the Charity and look forward to working with Charlie and getting him down to the gym and sessions”. Rebecca Donnelly MBE – CEO Fight 4 Change.